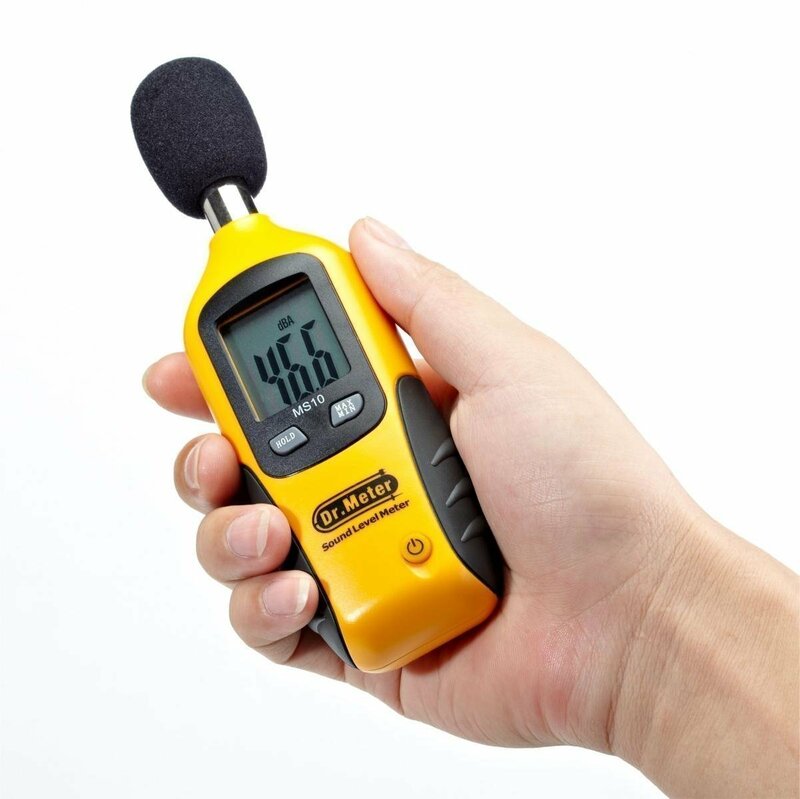 Dr.Meter is a digital decibel metre you can get on Amazon for the princely sum of £13.59. We were sent a sample to test, so let’s do just that! The Dr.Meter resembles a torso, with grips at the hips, a rectangular LCD display on the chest, buttons below this, and a covered microphone for the undersized head. On the back, you’ll find a tripod screw socket. The colour is a little more orange than it appears in the press photos, giving it a professional look. 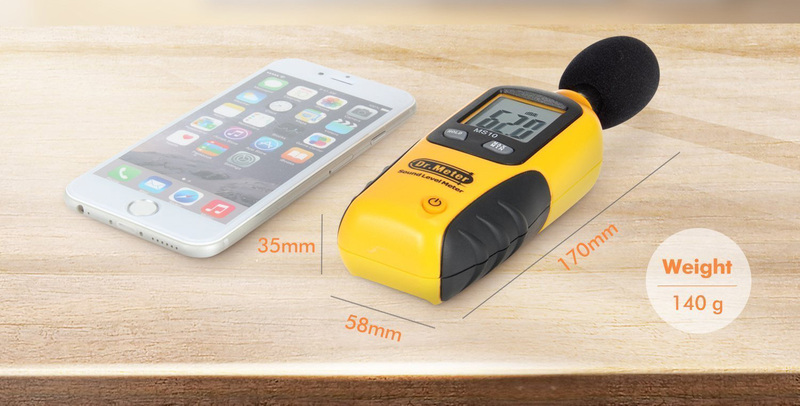 The metre feels solid and well-built, despite its plastic construction. 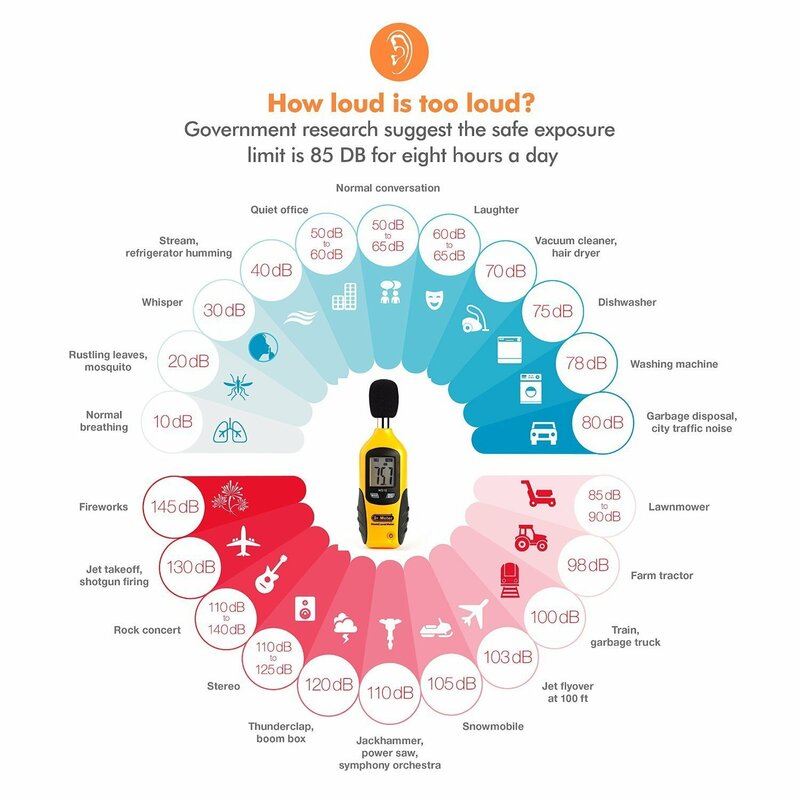 The decibel metre’s readings seem to conform to various scales we found online, although without a second decibel metre of equal precision it is hard to know for sure. Regardless of the accuracy of the measurements, the sound metre was easy to use, with the hold function allowing values to be read and recorded at a leisurely pace. The min and max buttons were also useful for checking how loud a certain activity got. The screen was fairly visible at close ranges, although we would have appreciated it if the metre had a flat bottom so it could stand up by itself and allow the display to be readable from a greater distance. A backlit display would also be helpful for use in low light conditions. 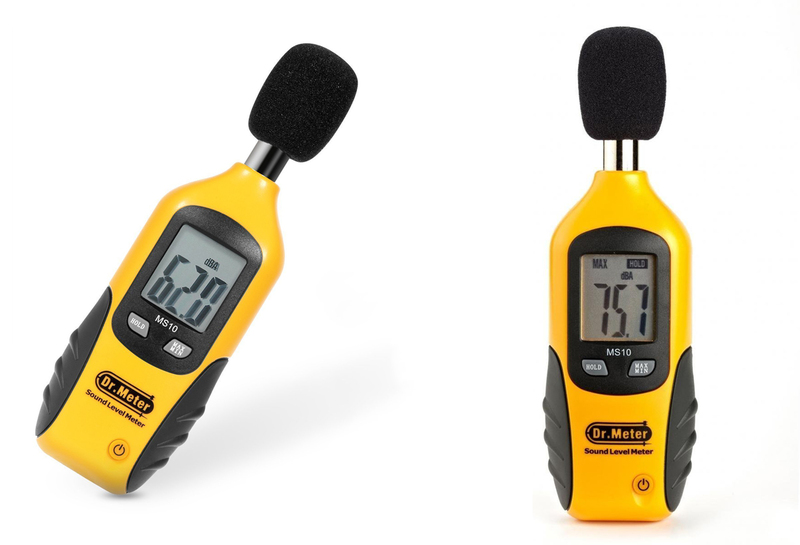 This cheap digital sound metre seems to do its job admirably, although you’d likely need something with a little more accuracy to tackle professional challenges. Still, not bad for the money.